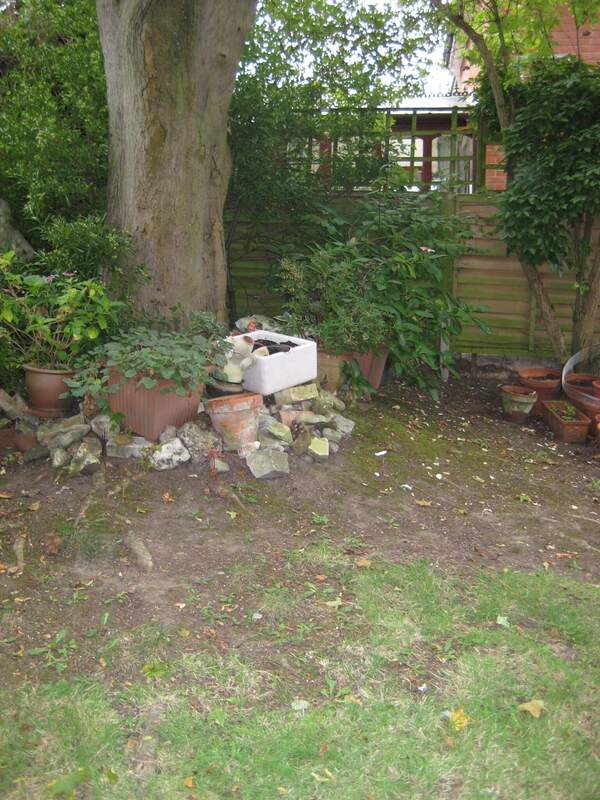 This garden is dominated by a large maple tree which throws shade over most of the garden space and is protected by a Tree Preservation Order, which means that care has to be taken to design around the tree root system. 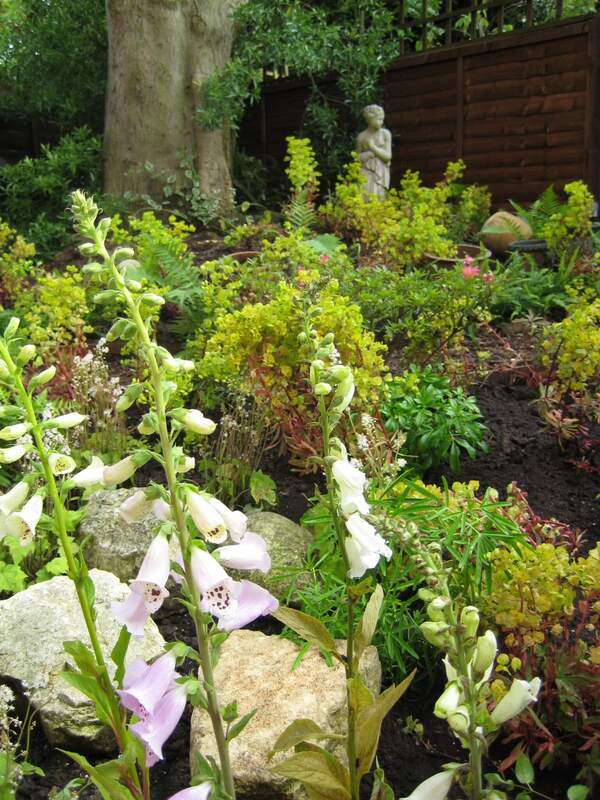 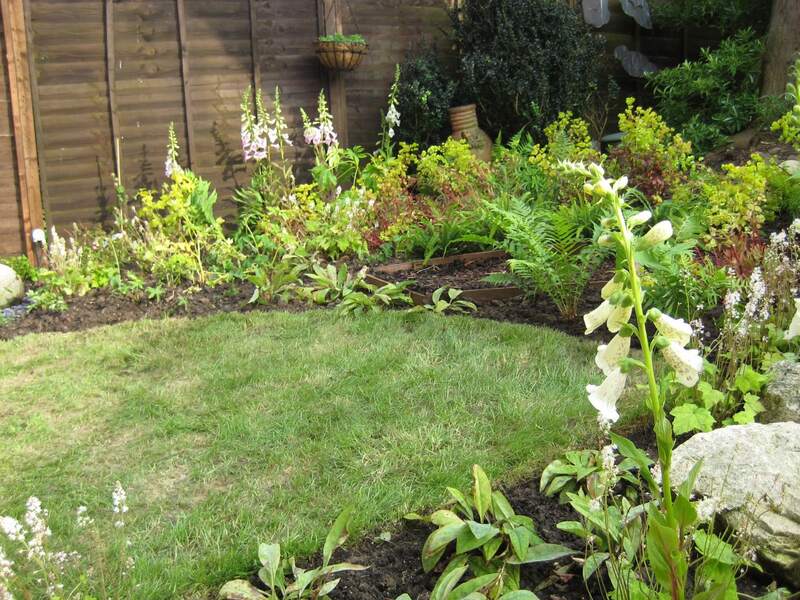 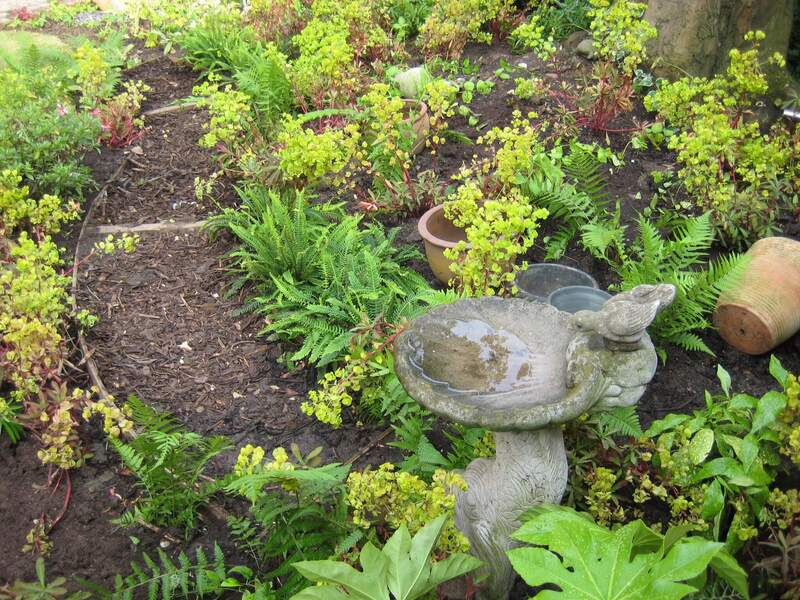 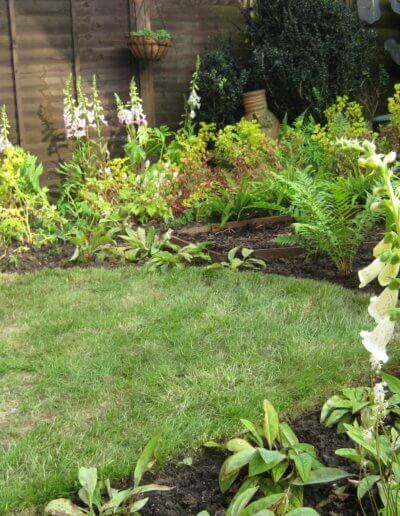 Most plants had been tried and failed on this site and the client wanted appropriate planting, a small space to eat outdoors, a small lawn area and a water feature and birdbath to encourage wildlife into the garden. 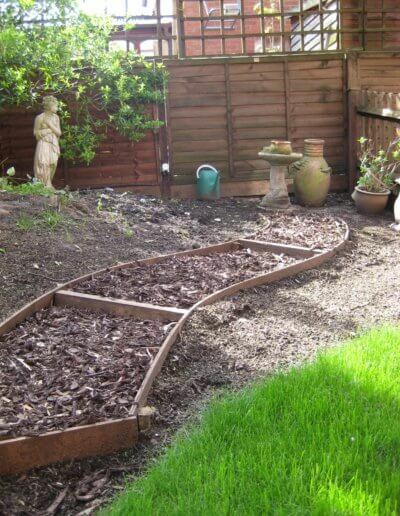 A bark and timber path was constructed on site out of pliable ship’s timber and held in places by minimal staking. 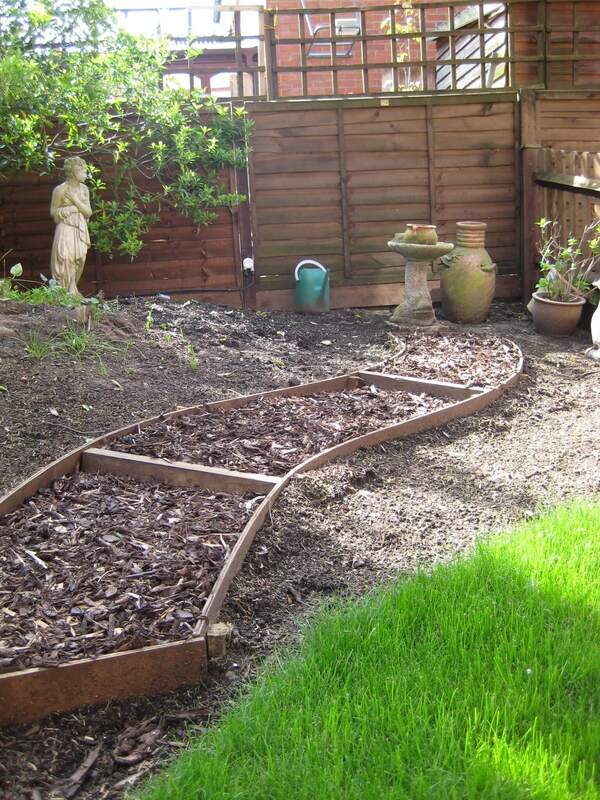 This allows access the end of the garden and provides a permeable surface to enable water to seep through to the tree roots. 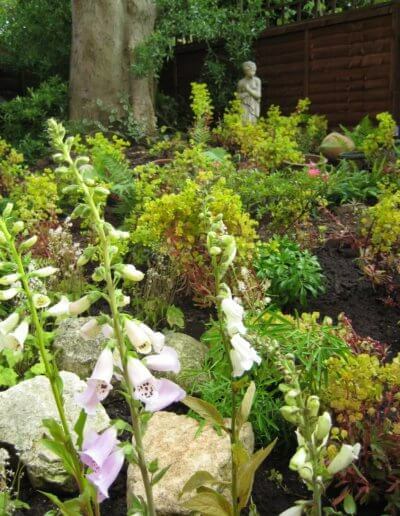 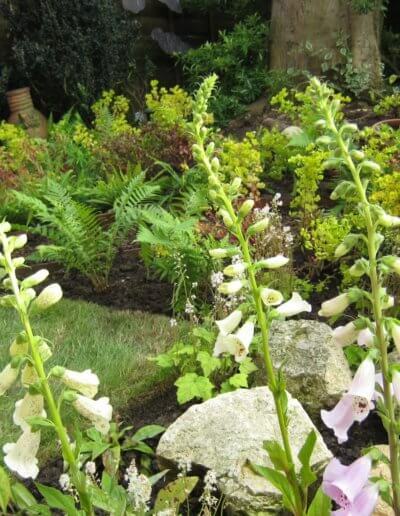 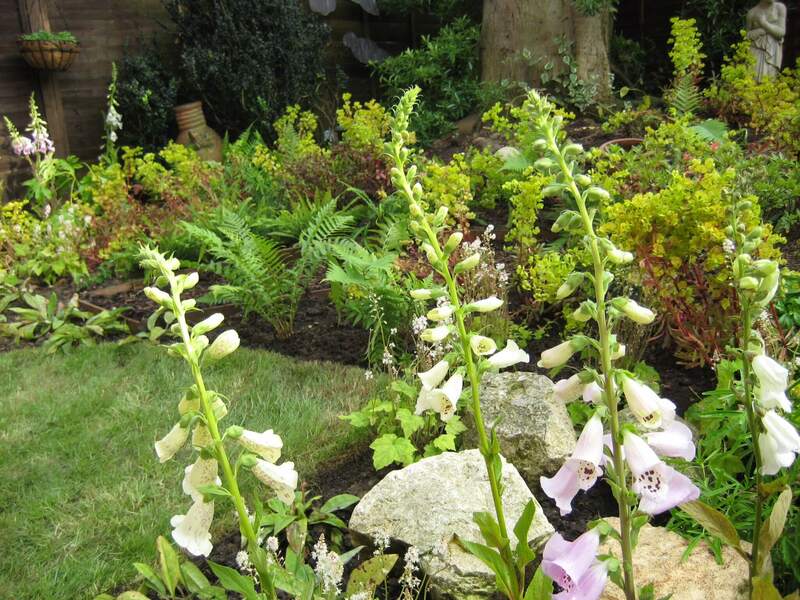 The predominantly woodland planting includes shade tolerant flowering shrubs and ferns together with seasonal flowering plants such as foxgloves, rich in nectar and attractive to bumble bees. 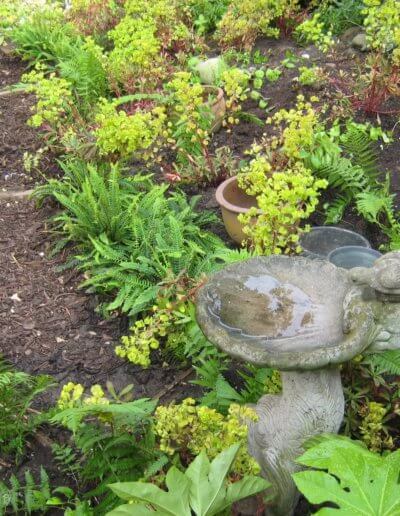 The sunnier patio area is planted with herbs in pots and is the perfect spot to relax and unwind after a hard day’s work and enjoy the tranquillity of nature. 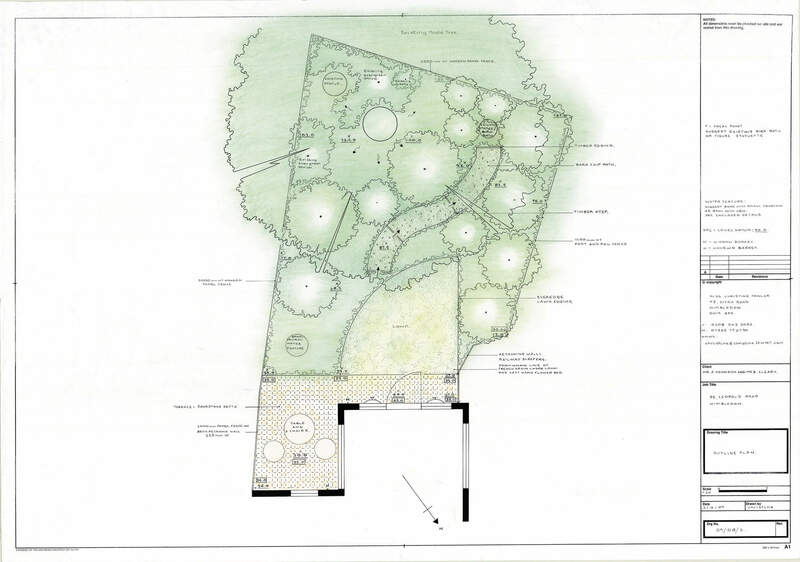 We asked Christine to design a garden which would overcome a number of obstacles and challenges of a small garden with its own big tree. 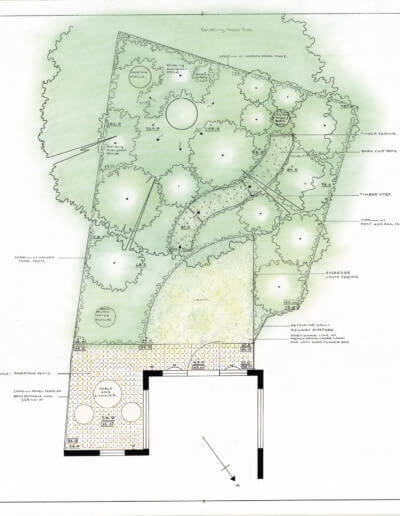 We now have a garden that will mature into a woodland landscape with shrubs and ferns which will provide a tapestry of rich colours; very happy with the design.